If Ndamukong Suh had stepped up in his second season, would there be so much discussion abut the Lions’ defensive tackle? 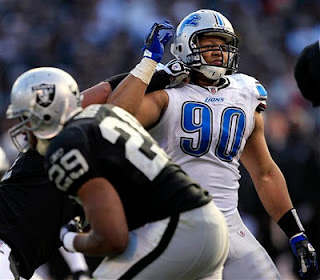 After finishing as defensive rookie of the year in 2010, Suh’s sack and tackle numbers were down. Also he missed two games due to a suspension. For a defensive tackle, stats aren’t everything, but Suh didn’t seem like the dominant player that he was as a rookie. 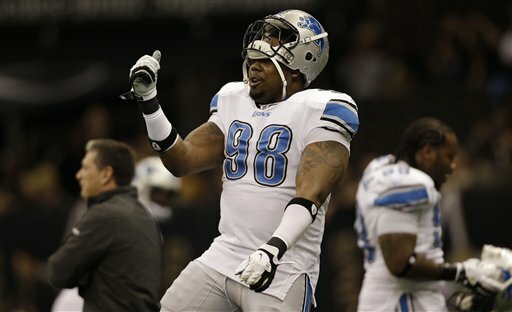 At the Super Bowl on Tuesday, NFL Network analyst Warren Sapp had plenty to say about Suh, according to quotes from the Lions’ web site. “He’s never been a hip thrower and a true pass rusher, in the sense. He was just overpowering and throwing people out of the way. 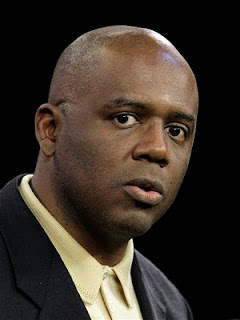 People didn't understand that he was just going to go through them, that is the way he rushes,’’ Sapp said. The seven-time Pro Bowl defensive tackle also ripped on Suh for not working hard enough last off-season. During the NFL lockout last offseason, Suh routinely tweeted while traveling around the world. The Lions players held eight days of workouts on their own and Suh showed up only for the final day when the NFL Network cameras were there. Sapp also insinuated perhaps Suh’s endorsements were getting in the way of his preparation. Suh is traveling this offseason too only it seems he’s making an effort to repair his image after The Stomp on Thanksgiving that cost him the two-game suspension. His last stop was on ESPN2’s Face to Face on Tuesday night. This was recorded last week before Sapp made his comments. Hannah Storm asked Suh about his reputation as a dirty player who tries to hurt other players. “I would never hurt somebody because why would I want somebody to hurt me. Taking someone’s livelihood away and their opportunity to fend for their family and grow, for someone to say that, it’s kind of outrageous,’’ Suh told Storm in an interview taped at the University of Nebraska, Suh’s alma mater. While he was suspended there was some chatter that perhaps he would be required to take anger management classes. Turns out it was just chatter. “It’s funny to me. Like I said, I don’t have issues. (I am not) beating up people in bars. It just doesn’t make sense to me. I think people try to make their own opinion and I think it’s a story line. It’s a great story line,’’ Suh said. “I understood this year that a lot of people seeing me as a dirty player is a good story line to have and that’s what it is to me. It’s kind of comical to me to keep saying something and really don’t have any substance behind it,’’ he added. He said he knows in his heart of hearts he’s not a villain. Suh was fairly guarded with Storm, but he did let out one moslty insignificant nugget. He said he has a photographic memory which helps him when watching film and preparing for games. Up next for Suh? Would be surprised if he doesn’t show up in Indianapolis this week. Perhaps one reason for their success is that the Lions group of wide receivers are a close-knit bunch. This week they’re getting a little more bonding time in Honolulu courtesy of Calvin Johnson. Johnson was voted to the Pro Bowl, but won’t play because of a sore Achilles. Still he went to Hawaii and brought his wide receiving teammates with him, on a private jet no less. Johnson is picking up the tab for the group. What an incredibly nice gesture. 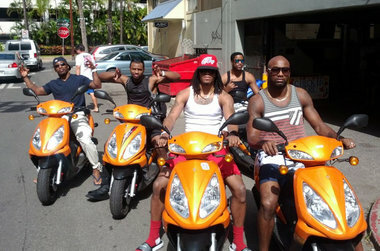 The photos from Hawaii (via Twitter) of the gang on scooters make it look like they may be having a little fun. 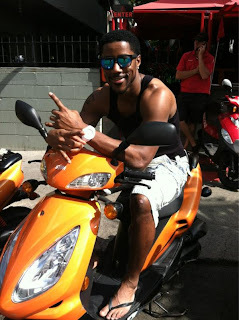 While Calvin’s a little on the quiet side, Nate Burleson more than makes up for it. Follow their adventures on Twitter @Nate13Burleson. Will Matthew Stafford be the Lions' version of Red Wings' savior Steve Yzerman? The strangest question hit me out of the blue the other day: Is Matthew Stafford the Lions’ equivalent of Red Wings’ Hall of Famer Steve Yzerman? We really won’t know the answer to that for several years. Yzerman won three Stanley Cups so Stafford has some catching up to do. Still, there are plenty of similarities early on. Yzerman was the fourth overall pick in the 1983 draft and immediately was on the Wings’ roster. He was smart, a good leader and the hardest worker — always. Covered the Wings and Yzerman for many years later in his career. The day in 2003 that the Red Wings beat writers told him we’d nominated him for the Bill Masterton Memorial award he was profusely sweating while riding an exercise bike, don’t think he even slowed down when we asked for comments. It just seemed fitting. He won the award after coming back from radical knee realignment surgery that could have ended his career. The award is given to the NHL player who best represents perseverance, sportsmanship and a dedication to hockey. Stafford, of course, is early in his career. Already he’s had a chance to show how tough he is — that win over Cleveland in his rookie season was the first major indication. He truly got up off the turf on the sidelines with a dislocated shoulder, bolted past the medical personnel and back onto the field to win the game. Since then repeatedly he’s been knocked around and gets up and goes back to work. He had a tough sophomore season playing in only three games due to injuries, but came back in 2011 and played them all. He’s a nominee for the NFL’s Comeback Player of the Year which will be awarded on Super Bowl Eve. Like Yzerman, Stafford is smart, hard-working and very much a student of the game. His teammates respect him, even at a young age. He’s a natural leader. Stafford is just 23. Yzerman first became captain of the Red Wings when he was 21. Both started when their teams were in the dumps. Yzerman joined a group not so fondly known around town as the Dead Wings. In 1982-83, the season prior to Yzerman’s arrival, they were 21-44-15. In his fourth season they lost in the Stanley Cup Conference Finals to the Oilers. In Yzerman’s 14th season he won his first Stanley Cup with the Red Wings. Stafford was drafted following the 0-16 season in 2008. He had just turned 21 but had little trouble handling the immense expectations placed on his shoulders because he was the No. 1 overall pick. It’s difficult to compare NFL and NHL playoffs, they are such different animals. In Stafford’s third season he got the Lions to the playoffs. More will be expected each year. If Stafford and the Lions create a dynasty of sorts like the Red Wings did (three Stanley Cups in six years) with Yzerman, then the comparisons will be stronger. Matthew Stafford is not going to the Pro Bowl, while Carolina Panthers rookie Cameron Newton will be in Hawaii on Sunday filling in for the Giants’ Eli Manning who dropped out to prepare for the Super Bowl. It’s a shame for Stafford who was the third Pro Bowl alternate. He deserved better. Many think he should have been in the Pro Bowl over Eli Manning in the first place. Between Stafford and Newton the numbers aren’t even close. Matthew Stafford had 5,038 passing yards, (only the fourth quarterback in the history of the NFL to pass 5,000 yards) 41 touchdowns, 16 interceptions, a 97.2 passer rating and a 63.5 completion percentage. Cam Newton finished with 4,050 passing yards. 21 touchdowns, 17 interceptions, a 84.5 quarterback rating and a completion percentage of 60. The Pro Bowl voting was done before the Lions (10-6) had made it into the playoffs, but they were on their way and the Panthers who finished 6-10 were not. Stafford could have joined his teammate Calvin Johnson at the Pro Bowl. A look at Twitter shows how upset Lions fans are today. Who could blame them? In doing research for my book I was going through clips of the 1990 Lions’ season when one paragraph jumped off the page, it is a classic from our friend Tom “Killer” Kowalski. The column was written after the Lions had just beaten the Packers 24-17 at Green Bay (yes, you read that right). It was two degrees with a wind chill of minus-33. A perfect day at Lambeau Field. Barry Sanders ran for 133 yards, Rodney Peete threw for 184. The Lions tried to give it away with miscues — fumble, interceptions, a missed field goal, you name it. 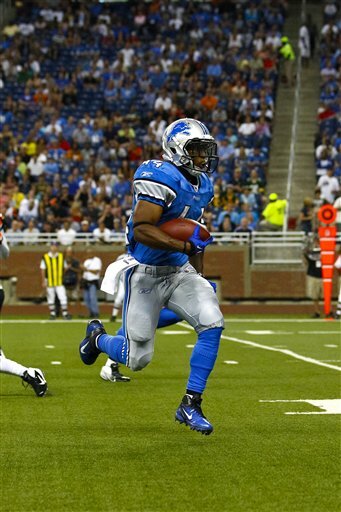 Detroit was down 17-10 at the end of the third and came back with two fourth-quarter touchdowns to win. So Kowalski was telling fans not to feel guilty if a depression came over them in the second half because they thought for sure the Lions would lose. 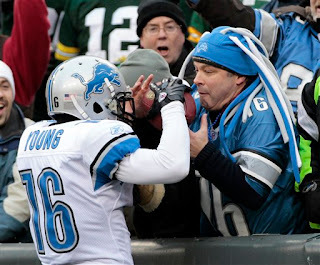 My book, “100 Things Lions Fans Should Know & Do Before They Die” will be published on Sept. 1. One of the chapters is about Tom. What’s tougher turning an NFL roster upside down or just fine-tuning it? Lions general manager Martin Mayhew expects it to be the latter. Remember this is the guy who took the job on an interim basis early during the 0-16 season in 2008. He’s been to the depths and responded well through the draft, trades and free agency. Now it’s a different beast. He’s built a 10-6 team that made it to the playoffs, but knows there’s plenty of work to do. He has key players to re-sign, free agents to explore and a draft to prepare for. “We took a big step obviously, when you look at the six teams in the NFC (playoffs) we lost to four of them. We’ve got some work to do to get to take the next step, but it was a big step for us this year,’’ Mayhew said. “I was impressed with the effort of our players, I thought our coaches did a great job coaching those guys. “I thought it was good to get in the playoffs, it was good experience for us even though we didn’t go beyond that first week. I think that experience being in that game this year is going to help us next year be even better,’’ Mayhew added. Perhaps the Lions can take something else into next season. When it was all said and done, the Lions finished with the same playoff record as the Packers at 0-1. Drew Brees, Aaron Rodgers and Tom Brady may be in the mix for post-season honors, but Lions’ quarterback Matthew Stafford has not been forgotten. Stafford was named the NFL comeback player of the year Monday as voted on by Pro Football Weekly and the Professional Writers of America. He is also up for the Associated Press Comeback player which will be announced the night before the Super Bowl. 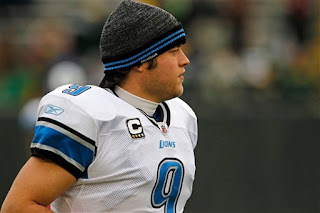 After playing in just three games in the 2010 season due to shoulder injuries, Stafford played his first full 16-game season in 2011 and become one of only four quarterbacks ever to surpass 5,000 passing yards. Stafford finished the season completing 63.5 percent of his passes for 5,038 yards, 41 touchdowns and 16 interceptions. Can’t circle the date yet because there are no dates set for the 2012 NFL season. But we do know the St. Louis Rams will play the Lions at Ford Field. With today's announcement that Jeff Fisher will coach the Rams, that game just got a little more interesting. For one thing Fisher’s son, Brandon, is as assistant to the Lions’ defensive coaching staff. However, it’s the Fisher-Jim Schwartz match-up that will be the most intriguing. Fisher and Schwartz worked together for 10 seasons with the Tennessee Titans. Schwartz was defensive coordinator there for eight seasons. During Schwartz’s first season in Detroit, his first as an NFL head coach, there was rarely a press conference where he didn’t make some reference to Fisher and the Titans. He learned a lot from Fisher and put it to good use this first three years with the Lions. Both are competitive guys, but the bet here is that the post-game handshake will be friendly. ALLEN PARK — Since Lions general manager Martin Mayhew is media-shy, today (Thursday) was the first time the Lions beat writers had a chance to ask him about the handshake incident between Jim Schwartz and 49ers coach Jim Harbaugh following the Oct. 16 game. He was not asked about blowing off a handshake with Kansas City Chiefs general manager Scott Pioli at the Ford Field elevators following the Lions’ win over the Chiefs on Sept. 18. But Mayhew brought it up anyway. 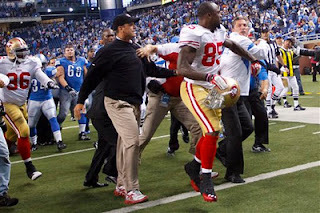 “As an organization we haven’t really mastered that whole post-game handshake thing,’’ Mayhew said. “We’re still working on that. We’ll get that right next year ... Maybe we’ll do some drills on that,’’ he added. Too bad Mayhew only talks to the media three or four times a season. He’s insightful and can be extremely witty. He just doesn’t seem to like the spotlight. If you were grading Nick Fairley’s rookie season it would have to be an incomplete. He played in just 10 games and was never totally healthy. The first-round pick out of Auburn (13th overall) broke his foot early in training camp and never could put it totally behind him. We saw flashes of what he could be with a few big plays. In the regular season game at New Orleans he was a man possessed. It’s where he notched his only sack of the season. Unfortunately for him he re-injured his foot in the first quarter and missed the rest of that game. It was especially tough for a rookie to miss training camp since there had been no off-season workouts due to the NFL lockout. “Nick missed all of training camp and then it was just sore throughout the season. I have had a lot of experience with guys that have had broken feet, screws put in, and things like that. They have had the same experience. It probably won’t be for a few months now in the offseason of rest before that thing will be in his rearview mirror,’’ coach Jim Schwartz said. When he was drafted he was not pegged as an immediate starter since the Lions had Ndamukong Suh and Corey Williams. The plan was to rotate Fairley, Sammie Hill and Andre Fluellen in and out of the tackle position. For that Dec. 4 game at the Saints, Suh was serving the first of a two-game suspension. Fairley’s foot was doing better but it was Sammie Hill who earned the start. Hill, who often gets overlooked, had a good strong season including a big game in the Jan. 1 loss at Green Bay. First-round picks are expected to jump in and contribute right away. It just didn’t happen that way for Fairley. If he’s healthy he could be a huge boost to the defensive line which didn’t live up to the hype this year. After missing the final 10 regular season games with a concussion, the Lions running back is fully expecting to be back next season. The running game was certainly the weak link on the offense with the absence of Best. Also no one knows how good the run game could’ve been if rookie Mikel Leshoure had not torn his Achilles’ tendon in training camp. Best said he hasn’t taken any concussion tests lately since his season ended when he was placed on injured reserve. He is staying in shape though. He said he has no doubt he’ll be back next season. A healthy Best could make a difference. Two big games for the Lions and two blown calls by officials. On Saturday night in the 45-28 loss at New Orleans, after Willie Young sacked Drew Brees, Justin Durant picked up the ball and the only thing that prevented him from getting into the end zone for a touchdown was an inadvertent whistle from an official who must have thought it was an incomplete pass. That was in the second quarter and could have changed the complexion of the game. The Lions lost 45-28 so seven more points would not have been there difference. But it could have changed how the game was played from that point on. The week before in Green Bay Titus Young clearly caught a touchdown pass with both feet in-bounds — on the replay it wasn’t even close. He was definitely in. Yet it was ruled incomplete. 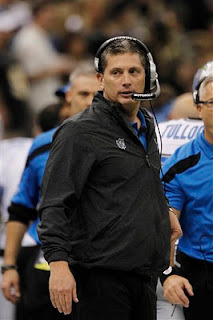 Coach Jim Schwartz was out of challenges due to two previously botched calls so the touchdown could not be reviewed. Usually winning teams get the calls. Apparently, the Lions haven’t reached that point yet. Five things the Lions (10-6) must do to beat the Saints (13-3) at the Superdome at 8 p.m. on Saturday. 1. The defensive line has to step up and put more pressure on Drew Brees. They will have a full, healthy group unlike when they lost to the Saints on Dec. 4. Brees is a handful and the Lions’ secondary will need help from the line to help contain him. 2. The secondary, which had its worst game of the season last week at Green Bay, has to shake it off and get back to playing like they did against Phili Rivers and the Chargers. They’ll get help with the return of Louis Delmas. 3. Matthew Stafford, aka Mr. 5,038, has to keep it up. Over the last four games he’s averaged 377 passing yards per game and has thrown 14 touchdown passes against just two interception. If he can pass for 377 yards against Saints he gives Lions a good chance. 4. The Lions have found success in the air, but it would only help if they can have some kind of running game against the Saints. Kevin Smith is healthy so that should help. 5. Attitude. These Lions take nothing for granted, several of them lived through the hell that was the 0-16 season in 2008. They’re hungry. They have something to prove to themselves and the world. Prediction: Saints 42, Lions 38. What makes Matthew Stafford so special? Other than his arm strength, accuracy, football smarts, work ethic and poise under pressure, there is something else that makes Matthew Stafford special. The 23-year-old Lions quarterback is a likable and humble guy. Wide receiver Nate Burleson chatted about it this week, saying Stafford doesn’t walk around with his chin up. He’s one of the guys, he fits right in. It’s a little thing, but it’s important that a quarterback be liked by his teammates. That hasn’t always been the case with Lions quarterbacks — remember Joey Harrington. While passing for 5,038 yards in just his first full season sets him apart, Stafford let the praise roll off his shoulders saying it was a team effort. There is no bigger deal in this town right now than Stafford as the Lions head to their first playoff game since 1999. Reports on Twitter Thursday night said he was eating dinner out and approached by kids and their moms for pictures and not only complied but he was smiling and laughing while doing so. When asked last week about being recognized out and about, he said it was all part of the deal. He appreciates the kind words offering him good luck. When the Lions drafted Stafford with the first overall pick in 2009, they did their homework on him. They did a good job. Matthew Stafford is the complete package. ALLEN PARK — Calvin Johnson was back at practice today (Thursday) after sitting out on Tuesday and Wednesday with a sore Achilles. There really hasn’t been much doubt that he would play on Saturday night in New Orleans, but it was a good sign that he was back at work. 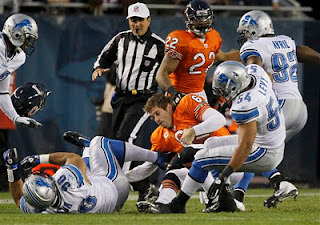 And amazingly, all the other Lions were practicing too even Kevin Smith and Tony Scheffler who collided on Wednesday. This is the healthiest the Lions have been for ages and the timing couldn’t be better. They will need all healthy bodies to give them a chance against the Saints who have not lost at the Superdome all season. ALLEN PARK — There are people out there who are writing off the Lions’ playoff chances against the New Orleans Saints on Saturday night. Yes, it was just a month ago they lost 31-17 to the Saints, but this is a different Lions team now. They’ll have three starters on defense that they didn’t have that game — Ndamukong Suh, Louis Delmas and Chris Houston. Plus since the 11 penalties that cost them 107 yards in that game, they have become more disciplined especially when it comes to after-the-whistle situations. Drew Brees is on fire and the Saints haven’t lost at the Superdome this season. 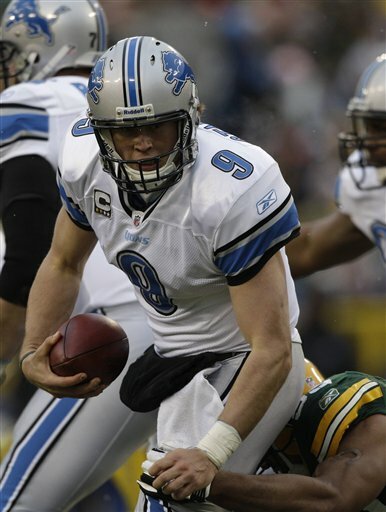 But Matthew Stafford and the Lions’ offense have found a rhythm in the last few games. Stafford has averaged 428 passing yards in the last three games with a total of a dozen touchdowns and just two interceptions. They were 5-3 on the road this season. I’m not saying it’s a lock, but the Lions should not be overlooked. They could win this game. Stafford takes aim at Tebow — or does he? If you think Matthew Stafford is nervous about his first playoff game, you don’t know the kid. He can’t wait. He knows full well that playoffs are what separates good quarterbacks from great quarterbacks. In his explanation he may have been referring to a certain Denver Broncos quarterback, although he never said Tim Tebow’s name. “Win, that’s what you have to do that’s what people are judged by this time of year, quarterbacks. And a fun thing for me is this offense, a lot of it’s on me getting able to throw the ball around, that’s awesome,’’ Stafford said on Tuesday. “I’d rather have it that way then go out there and throw eight passes in a game and have us win. it’s fun to go out there and sling it around and see what happens,’’ he added. In the Broncos’ loss to Kansas City Sunday, Tebow was six of 22 for 60 yards and an interception. ALLEN PARK — The Lions are about the healthiest they have been all season. At practice today (Tuesday) only Calvin Johnson and Titus Young weren’t working. Both were on the field without helmets. Johnson sat out practice most of last week with a sore Achilles, but had a career game on Sunday with 244 reception yards. Safety Louis Delmas (knee) returned to practice. He’s missed five games and practiced on a limited basis on Friday. Defensive tackle Corey Williams (hip) and cornerback Aaron Berry (shoulder) didn’t play on Sunday but were at practice today. 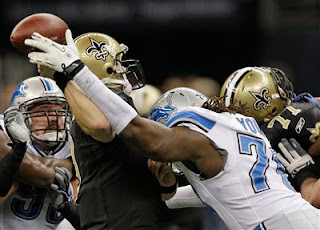 It’s been just four weeks since the Lions played at New Orleans and lost to the Saints. 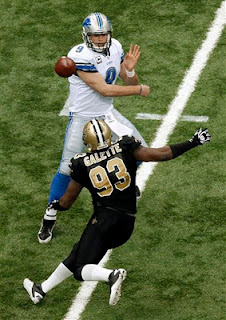 Even though the Saints won 31-17, it was close for a while and the Lions earned respect especially from quarterback Drew Brees. “I know how dangerous they are and how explosive they can be and defensively they are able to create turnovers and get after the quarterback,’’ Brees said on NBC SportsTalk. “So we are going to have to do a good job of staying balanced, protect the passer, run the football and possessing the ball,’’ Brees added. It’s the first playoff game for the Lions since 1999. Kickoff is set for 8 p.m. Saturday on NBC. To the Lions’ credit no one blamed the officials following the 45-41 loss at Green Bay on Sunday. Still early in the game Jim Schwartz had to use two challenges on a fumble that was reversed on tight end Tony Scheffler and a fumble by Stefan Logan during a return. So Schwartz couldn’t challenge when the officials called Titus Young out of bounds on what was clearly a touchdown catch. Video replay was conclusive he had both feet down. If the officials would have ruled it a score, it would have automatically been reviewed. Schwartz had a difference of opinion on that. “Every play this year they always rule in favor of touchdowns knowing it’s going to get reviewed. I don’t have any challenges left. The worse challenge was the first one that I had to challenge because you only get two and the whole thing with replay is to get it right. We didn’t get it right,’’ Schwartz said after the game. Another really questionable call came in the fourth quarter when Calvin Johnson was called for offensive pass interference. Matthew Stafford connected with Scheffler four plays later for a touchdown.